In Dominum et Vivificantem John Paul II points out that in the Old Testament “the personality of the Holy Spirit is completely hidden” (17). But in the New Testament the “Holy Spirit is revealed in a new and fuller way,” not only as a gift from Jesus but as a “Person-Gift” (22). Just as Jesus Christ in His Incarnation is a Person-gift from the Father, so too is the Holy Spirit a Person-gift from God the Father and Jesus. 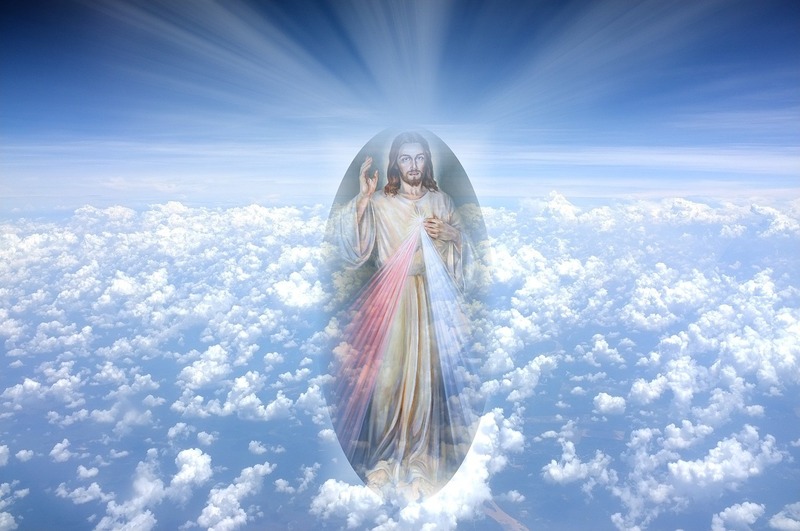 This giving of the Holy Spirit as a gift to us is truly the greatest of all possible gifts, for the Holy Spirit is the “personal love” proceeding from the Father and the Son, which John Paul II calls “uncreated Love-Gift.” It is “through the Holy Spirit [that] God exists in a mode of gift” (10). The Holy Spirit is “Person-Love” and “Person-Gift” (10). In light of the above insights of John Paul II we can begin to understand why Jesus was so anxious to leave the apostles and return to the Father (“If I go, I will send him [the Holy Spirit] to you,” John 16:7). Jesus wanted the apostles – and us – to receive the ultimate gift of His love – the “Person-Gift” and the “Person-Love” of the Holy Spirit. The Holy Spirit is “the Lord and giver of life”; he is the “Infinite Spirit” of love and the “inexhaustible source” of eternal life. 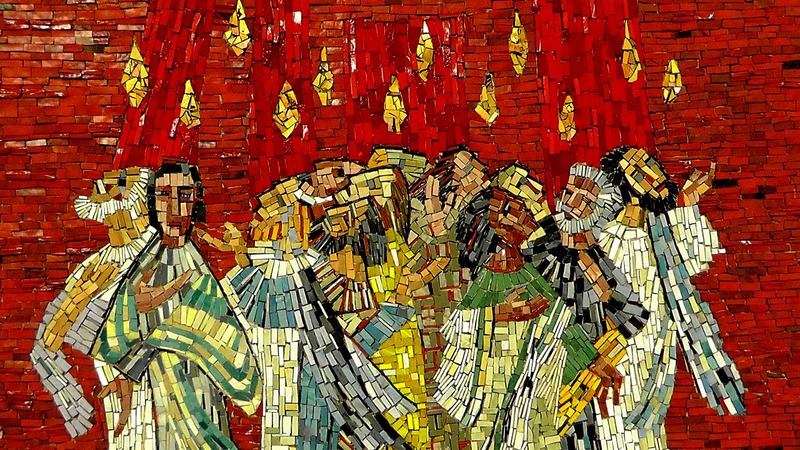 Our Lord’s death, Resurrection and Ascension therefore converge to bring forth a most incredible gift: “The Holy Spirit as a Person who is the gift” (23). Dear friend, draw closer to the Holy Spirit – Who is the greatest GIFT you have ever been given! 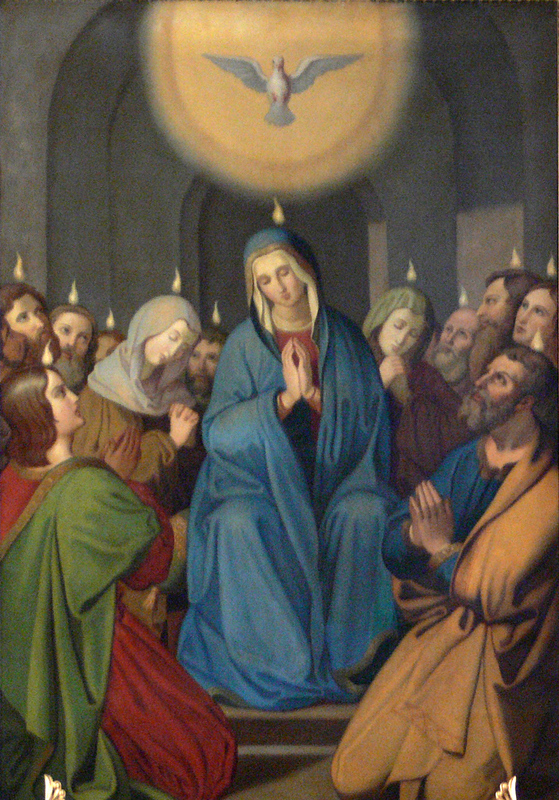 Image: The image of Mary and the Apostles at Pentecost, by Fidelis Schabet, 1867 (photo image released into the public domain by the author per Wikipedia). “And because we are his children, God has sent the Spirit of his Son into our hearts, prompting us to call out, “Abba, Father.” (Galatians 4:5). 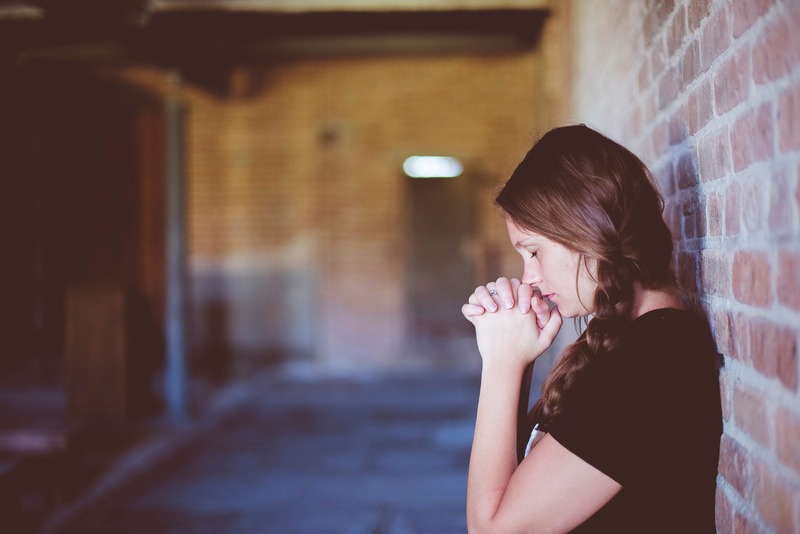 In this note we will be discussing the tremendous comfort and strength the Holy Spirit can bring to someone suffering from loneliness, ostracization, and the crushing difficulties of life. “God the Holy Spirit is the divine friend of the human souls to whom he is sent. Jesus sends his Holy Spirit to us in order, among other purposes, to banish from our life on earth that which constitutes one of the great pains of our present existence. There are few things so hard for a man to bear as loneliness and isolation. Man is not made to live alone. In a world which is ever hostile to Christ and will always hate his followers as it hated him, the Christian necessarily suffers from a certain measure of ostracism. Moreover, the Christian has to bear the loneliness that, with the advance of years, is the common lot of mortals. Death and other causes tend to thin the ever narrowing circle of one’s friends and acquaintances. How frequently the pathos of this abandonment shows in the eyes of the aged whose contemporaries have vanished year by year. Jesus has provided for the comfort of lonely hearts. When it comes to a human creature, neither to love nor to be loved by anyone, then existence has turned to dust and ashes. The disciples of Christ need never experience this dread starvation, this withering of their powers of affection, seeing that they may, by grace, possess within themselves in the closest intimacy a Person who, by the Word of Truth [Jesus], has been declared to be preeminently a consoler (John 14:16) – a Person who may be loved without limits and who repays every mark of affection by more than the hundredfold in warmth and tenderness. Consider for a moment the POWER of loving in the Holy Spirit who is love personified, who IS the personal love between the Father and the Son! The Holy Spirit has not only an infinite capacity for friendship – He has, as well, an infinite power to make his friendship effective for the consolation and comfort of those he loves. In the great trails of life, notably in the bereavement caused by the death of those dearest to us, how impotent we find the well-meaning efforts of our friends to touch our grief with healing. When the soul is burdened by a great sorrow, nothing can bring alleviation and strength except that which can penetrate and change the spirit of man. This the Divine Friend – the Holy Spirit – alone is capable of doing. How frequent an experience it is to find the faithful who, when faced with an overwhelming calamity, which should normally paralyze and crush them, manifest a courage, calm and resolution, traceable to no natural source. The origin of this mysterious peace and confidence is the Paraclete, the Comforter, the Holy Spirit. Their turning to God in their distress has provoked the inner and direct action of the Holy Spirit on the substance of the soul itself. This long quote, significantly edited and adapted, is from The Holy Spirit by Father Edward Leen (Scepter Publishers), pages 160-163. Father Leen, who belonged to the Congregation of the Holy Spirit, wrote extensively on spiritual topics and his books are full of powerful spiritual insights. Dear Friend, be ever more attentive to the presence of the Holy Spirit in the depths of your soul, and of His infinite capacity to help you through the daunting difficulties of this present life, through a most remarkable and intimate friendship that will never end. In this short note I wish to make four points about the Ascension of Jesus into Heaven. In the Ascension Jesus is lifted up, is raised higher and higher, until we can see that He is above all else! If there are earthly powers, if there are heavenly powers, if there are demonic powers, Jesus is “Lord of the cosmos” and all creation is subject to him (see CCC 668), for “to which of the angels did God ever say, ‘Sit at my right hand until I make your enemies a footstool for your feet’?” (Hebrews 1:13). Only Jesus is seated at the right hand of the Father, “far above all rule and authority, power and dominion, and every name that is invoked, not only in the present age but also in the one to come” (Ephesians 1:21). In the Ascension, then, we see in the clearest terms that Jesus is Lord, or rather the Lord-God. It is the ascension of the risen Lord Jesus into Heaven that marks his sovereign Lordship over all things! 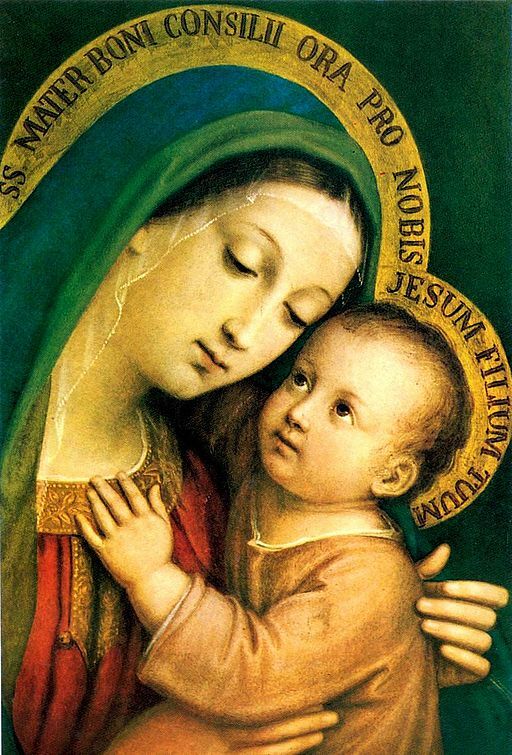 If in his earthly life Jesus humbled himself to a remarkable degree in order to save us from sin, his ascension constitutes his “supreme exaltation” in light of the “incommensurable glory conferred upon His Holy Humanity” (Blessed Columbra Marmion). “And being found in appearance as a man, he humbled himself by becoming obedient to death– even death on a cross! Therefore God exalted him to the highest place and gave him the name that is above every name, that at the name of Jesus every knee should bow, in heaven and on earth and under the earth, and every tongue acknowledge that Jesus Christ is Lord, to the glory of God the Father” (Phillipians 2: 8-11). We read in Marks’s Gospel that after Jesus ascended into Heaven he “sat down in the place of honor at God’s right hand” (Mark 16:19). 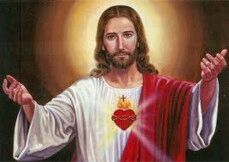 “By ‘the Father’s right hand’ we understand the glory and honor of divinity, where he who exists as Son of God before all ages, indeed as God, of one being with the Father, is seated bodily after he became incarnate and his flesh was glorified” (CCC 663). “Being seated at the Father’s right hand signifies the inauguration of the Messiah’s kingdom, the fulfillment of the prophet Daniel’s vision concerning the Son of man: ‘To him was given dominion and glory and kingdom, that all peoples, nations, and languages should serve him; his dominion is an everlasting dominion, which shall not pass away, and his kingdom one that shall not be destroyed.’ After this event the apostles became witnesses of the ‘kingdom [that] will have no end'” (CCC 664). 2. WE TOO WILL ASCEND ONE DAY TO THE FATHER! The Lord’s Ascension was essentially for us! After all, his mission of redemption was for us. Thus Jesus said to the apostles, and says also to us, “I ascend to My Father and to your Father, to my God and your God” (John 20:17). Really, those are pretty amazing words which demand our attention and meditation. Jesus also said that, “And I, when I am lifted up from the earth, will draw all people to myself” (John 20:17). “The lifting up of Jesus on the cross signifies and announces his lifting up by his Ascension into heaven, and indeed begins it. Jesus Christ, the one priest of the new and eternal Covenant, ‘entered, not into a sanctuary made by human hands. . . but into heaven itself, now to appear in the presence of God on our behalf.’ There Christ permanently exercises his priesthood, for he ‘always lives to make intercession’ for ‘those who draw near to God through him’. As ‘high priest of the good things to come’ he is the center and the principal actor of the liturgy that honors the Father in heaven” (CCC 662). “But because of his great love for us, God, who is rich in mercy, made us alive with Christ even when we were dead in transgressions–it is by grace you have been saved. And God raised us up with Christ and seated us with him in the heavenly realms in Christ Jesus, in order that in the coming ages he might show the incomparable riches of his grace, expressed in his kindness to us in Christ Jesus” (Ephesians 2: 4-7). 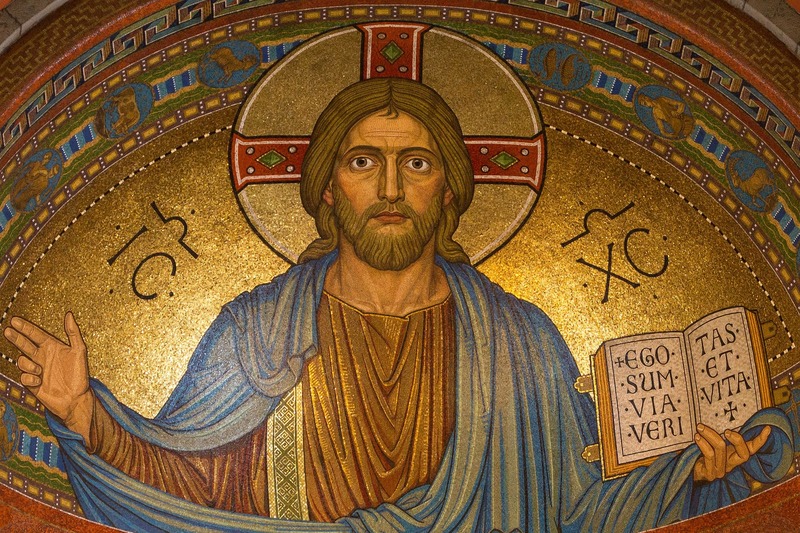 “Though already present in his Church, Christ’s reign is nevertheless yet to be fulfilled ‘with power and great glory’ by the King’s return to earth. This reign is still under attack by the evil powers, even though they have been defeated definitively by Christ’s Passover. 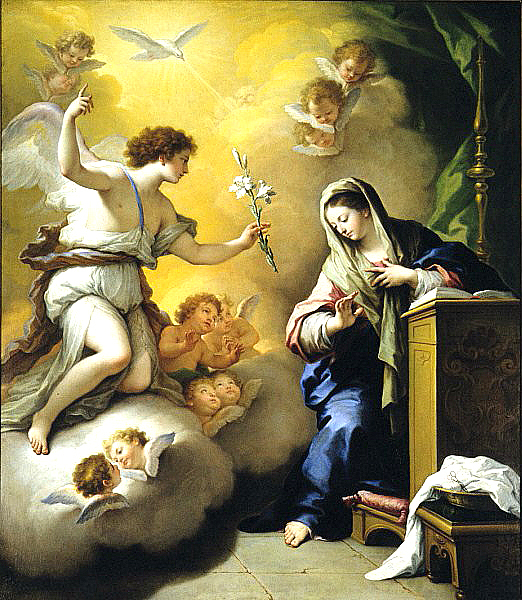 Until everything is subject to him, ‘until there be realized new heavens and a new earth in which justice dwells, the pilgrim Church, in her sacraments and institutions, which belong to this present age, carries the mark of this world which will pass, and she herself takes her place among the creatures which groan and travail yet and await the revelation of the sons of God.’ That is why Christians pray, above all in the Eucharist, to hasten Christ’s return by saying to him: Marana tha! ‘Our Lord, come!’ “ (Catechism of the Catholic Church, no. 671). The power that flows to us in faith through an appreciation of Christ’s Ascension is really quite extraordinary. In order to understand what God’s power is capable of doing in us, we are given the supreme example of what it did in Jesus Christ. “All this is said to exalt our sense of the Divine power that so raised up and exalted the God-Man, Christ Jesus – [that is] the same power that still works in believers” (Pulpit Commentary). What Saint Paul is saying in the amazing quote from Ephesians below is that, through the trajectory of Jesus’ Resurrection and Ascension, we can see the immense greatness of God’s power, and through a special spiritual blessing we can further see that this same power is at work in our own lives even here on planet earth, all of which is a great source of hope and confidence for us. “I pray that the eyes of your heart may be enlightened in order that you may know the hope to which he has called you, the riches of his glorious inheritance in his holy people, and his incomparably great power for us who believe. That power is the same as the mighty strength he exerted when he raised Christ from the dead and seated him at his right hand in the heavenly realms, far above all rule and authority, power and dominion, and every name that is invoked, not only in the present age but also in the one to come” (Ephesians 1: 18-22). 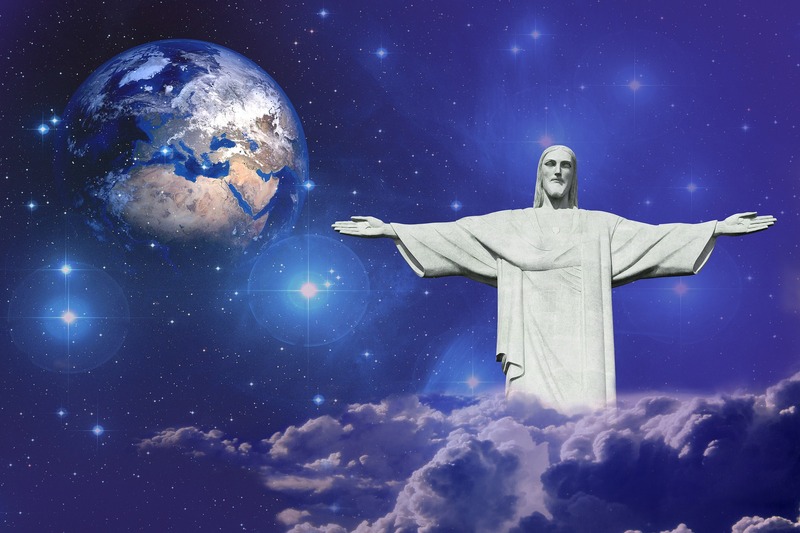 Jesus’ Ascension into Heaven clearly manifests his universal Lordship over all things. “And God placed all things under his feet and appointed him to be head over everything for the church, which is his body, the fullness of him who fills everything in every way” (Ephesians 1:23). References: My primary and key reference for the content of this note is Christ In His Mysteries by Blessed Dom Columbra Marmion (B. Herder Book Co.), Chapter 16. Image: Ascension by John Singleton Copley, 1775, Public Domain, U.S.A.
IS HEBREWS 7:25 THE MOST ENCOURAGING VERSE IN THE BIBLE? The upcoming Feast of the Ascension lifts our eyes towards Heaven where we see through verses like Hebrews 7:25 that Jesus’ ongoing ministry in Heaven is truly a most extraordinary enterprise for the well-being of souls on earth.